MasterCard has recently announced two developments that it hopes will further the growth of its MasterPass digital wallet service, including more retailer acceptance and adding content purchasing. North American online fashion retailer Beyond the Rack has joined MasterPass' roster of retailers that accept the digital wallet service. Beyond the Rack is a free membership-based fashion site that gives its members the opportunity to shop for designer clothing, accessories, beauty and home décor products through daily limited-time and limited-quantity sales. Members of the site can get items for up to 80 percent off of retail prices. By adding MasterPass to its accepted payment options, Beyond the Rack can offer its customers a faster way to pay for their purchases. It's one way that MasterPass works to offer electronic payments both in-store and online. "Beyond the Rack's success is driven by the consumer desire to shop online -- and get a great deal," said Yona Shtem, CEO of Beyond the Rack in a statement. "Our members shop with us regularly, and a great shopping experience is key to building customer loyalty. Implementing MasterPass is one way we can do that. Now, with just a few clicks, shoes, bags and fashion are securely on their way to the shopper's home." Currently, customers can register their credit card credentials with MasterPass to enable simpler and speedier online transactions. To use the service, customers click on the "Buy with MasterPass" button at Beyond The Rack's checkout page to complete the transaction. "MasterPass is convenient, secure and easy for consumers to complete their online shopping. It is equally as great for businesses that are looking to deliver a seamless experience to their customers," said Will Giles, vice president, Emerging Payments, MasterCard Canada. Beyond the Rack intends to take advantage of some of MasterPass' evolving services, including real-time alerts, account balances and loyalty programs. It also plans to participate in MasterCard's Priceless program of special offers and experiences. WIRED Magazine has also partnered with MasterCard to pilot a new service called ShopThis! This service works with digital issues of magazines, particularly tablet versions, and it allows readers to shop for and purchase items they're reading about without having to leave the page they're on. "As consumers embrace a more digital lifestyle, they way they shop and pay for things is changing. 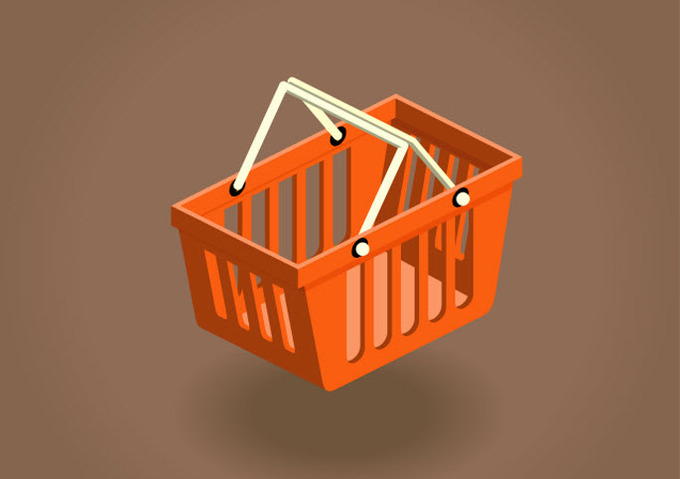 Today's consumer should not have to think about the shopping process -- when they see what they want, they should be able to get it, as quickly as possible," said Garry Lyons, chief innovation officer for MasterCard, in a statement. With its November iOS tablet edition, WIRED will be the first publication to offer this service. The digital publication will have various pages enabled with ShopThis! where they can choose to buy products listed within editorial or advertising content. The reader clicks on the product, adds it to a shopping cart, and when he's done reading the issue, he can check out. MasterCard has partnered with Rakuten.com Shopping for order fulfillment. "The ShopThis! with MasterPass technology allows us to experiment with how readers can go from product discovery to ownership, without ever putting the issue down," said Howard Mittman, vice president and publisher of WIRED, in a statement. "Our goal is to deliver the ability to purchase from WIRED seamlessly, and this relationship represents a crucial first step in converting our content to commerce." The November issue of WIRED will be available on October 15. Current subscribers to the iOS tablet edition will be able to experience ShopThis! technology automatically. New readers can download the WIRED app and subscribe in order to access the content.